When speed and simplicity counts the SHOTS development team are second to none with a new state-of-the-art mobile web app. 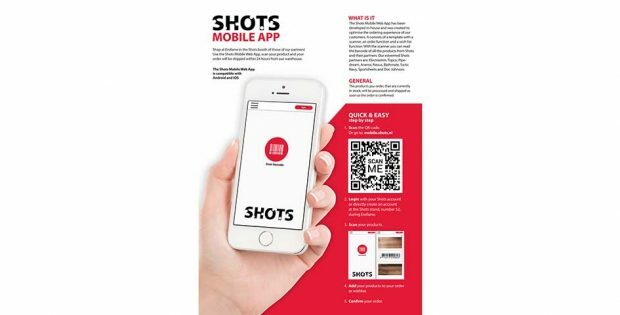 Customers can connect to the SHOTS warehouse and order in real time directly from their phone. The SHOTS Mobile Web App will have its premiere at the eroFame trade show (3-5 October) and then eventually will be rolled out across the globe. 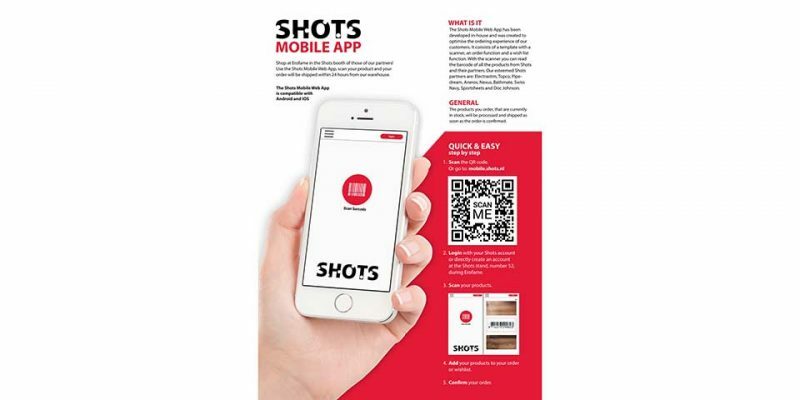 The SHOTS Mobile Web app has been developed in-house and was created to optimise the ordering experience of customers. It consists of a template with a scanner, an order function and a wish list function. With the scanner customers can read the barcode of all the products from SHOTS and their partners: Electrastim, Topco, Pipedream, Aneros, Nexus, Bathmate, Swiss Navy, Sportsheets and Doc Johnson. Customers can also scan the new products that will be released at eroFame. They can add the new products to their wishlist and sent this wishlist to SHOTS, one of their account managers will contact the customer about this list. This will give customers the opportunity to pre-order new products. 2. Login with your SHOTS account or directly create an account at the SHOTS stand, number 52, during eroFame. 3. Once you are in the app a scan button will appear and you can start scanning the barcode of the products you want to order. The name, product code and price will appear and you can fill out the desired quantity. The “add” button moves your order to your shopping basket. 4. If the product is a new released product, temporarily out of stock, or not sold by SHOTS but you want to order through it with us, add the product(s) to the Wishlist and send us your wishlist. One of SHOTS’account managers will contact you about the list. 5. Finally there is the “confirm order” button to finalise your order. The SHOTS Mobile Web App works with both Android and IOS phones.The products ordered in the week of the eroFame, and which are in stock, will be processed and shipped in the week after the show.